Form Colour Action explores sketchbooks and notebooks as sites of performance. The exhibition displays for the first time Lee Wen’s drawings, paintings, and notes dating from 1978 to 2014, as well as documentation of the pioneering artist’s performances. The selection helps us understand his contention that “drawing is the most basic time-based medium,” and his development of performance art as tracings of daily routines of the human, the environment, and the cosmos. The exhibition opens with a group of sketchbooks made between 1978 and 1989 that show Lee’s education in academic art—which he would reimagine, opening its vocabulary and techniques to a socially engaged practice. For him, image-making is integral to performance. This idea manifests most obviously in The Journey of a Yellow Man, which was developed from 1992 to 2001, and can be seen in the videos. The project evolved from a critique of Orientalism to a meditation on freedom, climate change, humility, and religious practices. 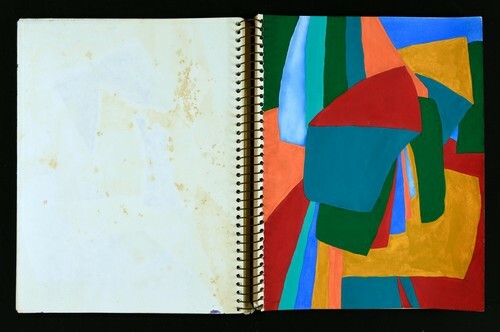 A group of sketchbooks and notebooks, from 1988 to 2002, shows how Lee uses lines and colour to convey emotions and action. A sketchbook from 1990 presents his early studies of representations of the human in the genres of portraiture and landscape. These studies inform Lee’s use of the body as vehicle and material in his performances. Another sketchbook from 1992 shows a drawing of the Hindu goddess Lakshmi sitting on a lotus flower, wherein the body and the landscape are part of a continuum. This merging of figure and ground would be crucial for Lee’s approach to performance art—his conception of the body’s movement as the lines of a drawing, and movement as an integration of the self into the world. A facsimile reproduction of the pages of a 1978 sketchbook—comprised of drawings and gouache paintings of volumes and shapes—is spread along AAA Library’s west and north walls of windows. As one’s eyes move across the page, so the body moves down the line of windows. Another group of sketchbooks, from 1988 to 2014, can be seen on a monitor and in a vitrine along the windows. These studies in seriality remind us of Lee’s performances as multiples. Lee Wen’s sketchbooks and notebooks offer a site to study his development of performance as an articulation of the self and its relation to the social and natural worlds. His training in drawing and painting gave him the tools to embody form and colour as action. This exhibition is dedicated to the memory of Lee Wen. Image: Lee Wen, sketchbook, 1978. Lee Wen Archive, Asia Art Archive Collection. Courtesy of the artist’s estate. 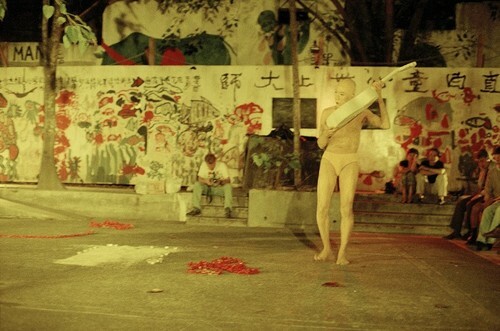 Lee Wen (1957–2019) was a multidisciplinary artist who defined and shaped performance art in Asia. 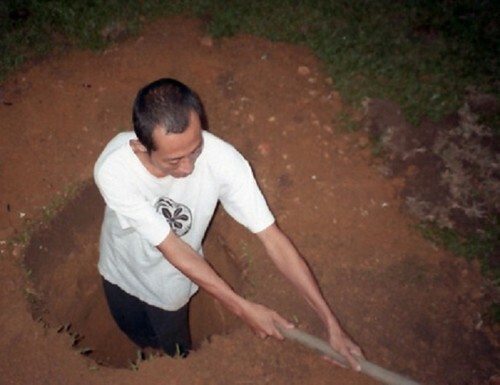 He had solo exhibitions at Singapore Art Museum, The Substation, and elsewhere. Group exhibitions included SunShower (2017), Secret Archipelago (2015), Singapore Biennale (2013), Asiatopia (2008 and 1998), Third Asia Pacific Triennial (1999), Sexta Bienal de La Habana (1997), and Gwangju Biennale (1995). Alongside his artistic practice, Lee was active in artist-run initiatives—in particular, the collective Black Market International, and the festivals Future of Imagination and Rooted in the Ephemeral Speak (R.I.T.E.S.). Form Colour Action is curated by Chương-Đài Võ and Özge Ersoy, with the support of John Tain, Hazel Kwok, and Young One Cheung. This curatorial essay stems from a longer essay written by Chương-Đài Võ, which can be accessed through Asia Art Archive’s IDEAS journal. An earlier version of the essay was published as “Line Form Colour Action” in Afterall Journal, No. 46 (Autumn/Winter 2018): 14–25.